GWCT News & Advisory: Hen harriers – the Hawk & Owl Trust calls everyone’s bluff? 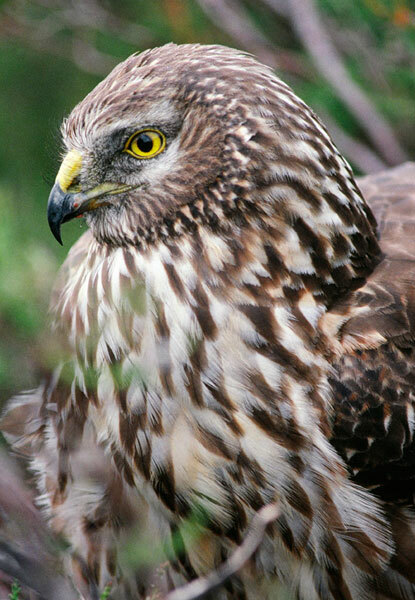 Hen harriers – the Hawk & Owl Trust calls everyone’s bluff? If you wanted to recover hen harriers on grouse moors, would you start by talking to conservationists and gamekeepers to develop your plan? If raptor conservationists told you your plan would work and gamekeepers said they would support it, would you launch it? It appears the closer Defra gets to launching its Hen Harrier Recovery Plan, the louder some object. The most vocal objections appear to be coming from those calling for a ban on driven grouse shooting and those that believe more licensing is the solution. The draft plan is not wild. It’s not reckless. It’s not rushed. Why are objections getting louder? Grouse moors: You say you want hen harriers to recover. We will come and help you – but that is conditional on none of you harming a hen harrier. Conservationists: As raptor specialists we believe this is a workable plan – so why not support us? Even if you don’t trust the gamekeepers, why not call their bluff? The Hawk & Owl Trust has some amazing expertise. This “small but very good” organisation (as Mark Avery calls it), which manages a 7,000-acre moorland nature reserve at Fylingdales on the North York Moors, has agreed to run a hen harrier brood management trial for Defra. This part of the Defra plan has its share of detractors, but the Hawk & Owl Trust chairman, Philip Merricks, explains that the six-part plan is an “all or nothing arrangement…interested parties cannot cherry pick which components of the recovery plan they want or don’t want”. I guess this is why they have stepped forward. Why is brood management important? On Langholm Moor we have seen how this colonial nesting species concentrate in one area and Philip Merricks sees the “brood management scheme trial is a necessary component” of the Hen Harrier Recovery Plan – if we are going to get this colonial nesting species swiftly and widely established. The Hawk & Owl Trust’s Scientific Advisory Committee recognise that this form of raptor translocation has been used successfully for other raptor species around the world. Philip says the big advantage of this method is that it is likely that all chicks would be raised to fledging whereas, if left in the nest, it is likely to be a lot less. How would the Hawk & Owl Trust do it? Hen harrier chicks would be moved to a heated aviary at about a week old (until they can regulate their body heat). Two weeks later they would be taken up onto moors to become imprinted on their release sites. This is done in pens, with netting at one end and shelter at the other, before being released at the appropriate stage. What conditions have they set? All hen harriers fledged within a brood management scheme trial would be satellite tagged so that their movements could be tracked. And the knowledge that they were tagged (and the fear that other hen harriers might be) would prevent any gamekeepers from shooting them in the sky. Should any Moorland Association, Game & Wildlife Conservation Trust, or National Gamekeepers’ Organisation member be proved to have illegally interfered with a hen harrier nest or to have persecuted a hen harrier on their grouse moors, the Hawk & Owl Trust would pull out its expertise from the brood management scheme trial. Philip certainly knows how to run a nature reserve properly. Elmley is now home to the largest population of breeding lapwings in lowland UK and one of the largest concentrations of raptors in south east England. Years of research, reports and discussions have yet to benefit the hen harrier. Those seeking to delay Defra publishing its plan should be fearful of having their bluff called by conservationists, like Philip Merricks and the Hawk and Owl Trust – they know how to implement a successful plan. Could you explain why hen harriers need a recovery plan and why brood management is a critical part of that recovery plan? Are hen harriers rare because they are incapable of raising their own young? Or are they rare because seem people routinely kill them and prevent them from nesting? If hen harriers need a recovery plan because some people routinely kill them and prevent them from nesting, have any of those people, or anyone speaking on their behalf, promised that they will immediately and completely desist from killing hen harriers and preventing them from nesting if only there were a brood management scheme in place? Harry - many thanks. I guess this is exactly why the Hawk & Owl Trust have added their two conditions. So, post something like this on RSPB site, mere handful of comments, post one on Avery site and a deluge. Begs the question - is that because they're his 'disciples' or are the mainly 'silent' GWCT members just leaving to the 'firm'? Danger is, as in nature, voids are filled to then become perceived 'facts'....much as some may hate to enter the fray, silence is not always golden. Well said Harry Lad, if the gamekeepers and their bosses accepted the minor loss of game birds all would be fine. No they cannot get past the Victorian attitudes to predators. Kill them all is the only way they know. Of course they call it conservation and environmental management. The Langholm keeper and others would have us believe that Hen Harriers eat tonnes of grouse. The anglers tried this with cormorants, where the conclusion was that the average weight of the cornorant was about 5 tonnes! Watch out gamekeepers the HH may eat you! Doug - thanks. Not sure about the weight of grouse eaten - but we do know that 78% of adult grouse deaths on Langholm Moor have been attributed to raptor predation (the evidence does not distinguish which species). Langholm is intended to be a practical demonstration of an economic driven grouse moor. Project partners have just reported against their evaluation criteria. What did they (including the RSPB) say about grouse numbers? They are not on target, nor are they predicted to be, unless new raptor management options are adopted (alongside diversionary feeding). I have commented before about the GWCT blog on the Langholm Review. Unless I have misread, doesn't the 78% figure refer to the percentage of dead tagged birds found but that this only represents 10% of all grouse mortality? And if we extrapolate 78% to all mortality, this represents thousands of red grouse taken by birds of prey. I assume hen harriers would struggle to catch and kill a healthy adult grouse, the Langholm research doesn't support buzzards or ravens as grouse predators (even chicks never mind adult birds) which leaves a tiny population of goshawks and peregerines (according to the Langholm research) as the main predators. Something doesn't add up. Calling everyone's bluff, including those who persecute birds of prey, is right which is why I now support this trial by the Hawk and Owl Trust. As an RSPB member, I have made this point on the RSPB site. I fully understand the RSPB's position - it is not delaying or part of some underhand, anti-shooting campaign. We can leave those kind of shenanigans to YFTB - it was great to see Philip Merricks so clearly disassociate himself from that nonsense - but I think the time has come to act. It is clear that the current situation will not change and both sides could be charged with intransigence. So let's get on with it. Just on a small point of accuracy - the reference to lapwing chick mortality (linked to the BTO site) is clearly made to infer that predation is the cause of lapwing decline. Of course, there are a number of causes of mortality - predation of healthy chicks, predation of chicks that will die anyway because of illness, injury, starvation; and as a direct consequence of bad weather, illness, injury and starvation.The BTO site in fact identifies changes in agricultural practice as the primary driver in declines - that makes the lapwing more vulnerable to all the causes of mortality. This demonstrates the complexity of factors in bird declines, a point which I think some lose/ignore in making lurid claims about predators laying the countryside to waste. Most worrying is an increasing tendency to lay the blame for bird declines at protected species, particularly birds of prey, and not just those which can be legally controlled. If we all followed Philip Merricks example at Elmley that would be brilliant. But those in the pro-predator control lobby who laud it as justification for their view, should bear in mind that Elmley's objective is not to produce unnaturally high numbers of game birds for shooting. This can be a particularly intensive form of land management which has benefits (more waders on uplands) and disbenefits (protected species persecution/some habitat degradation). Which RSPB reserve or reserves does the bar on the Lapwing breeding success graph represent please? It's not clear. The areas were next to each other, essentially the same piece of land. Steve is quite right - bar on the right shows the 2010 data from the RSPB managed reserve at Elmley Marshes.